I actually got to wear this right before Labor Day and with a smidgen of a summer left. I'm in love with this top. 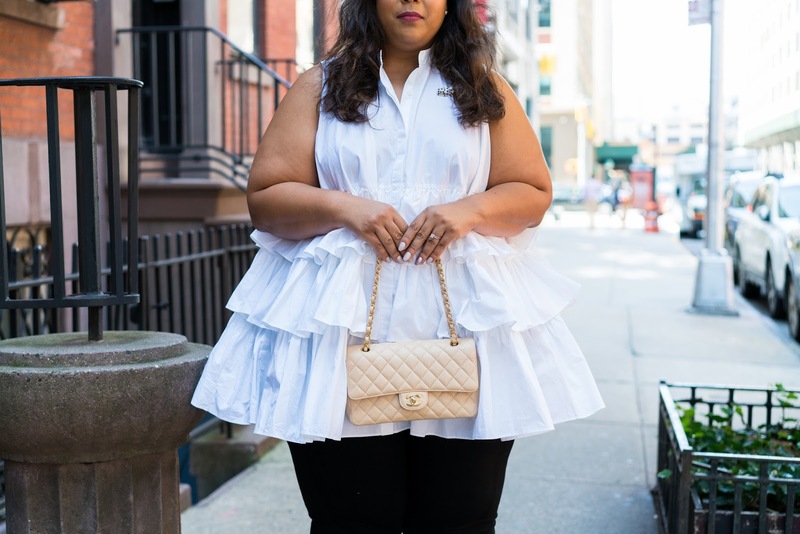 Now if you are looking for flattery this top won't be for you because it's very voluminous, but if you are looking for something that makes you feel super fashionable, then this is your top. 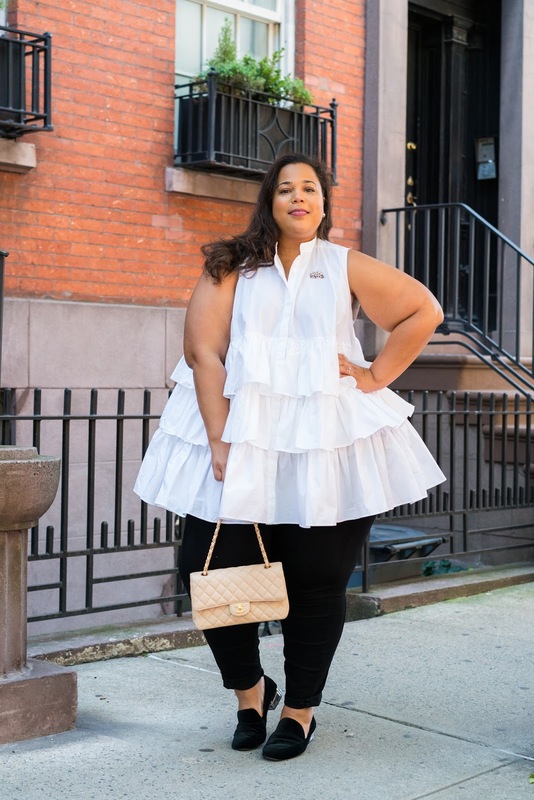 So lately I've been obsessed with the ASOS white collection. It's a collection of what I consider fashion forward items. 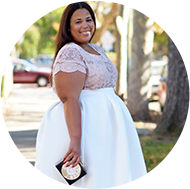 It only goes up to a size 14, but a lot of the items are oversized (I mean really oversized) and a size 12 or 14 in the oversized pieces can accommodate most plus bodies. This shirt is an example of that. The trapeze style fits over my hips with ease. 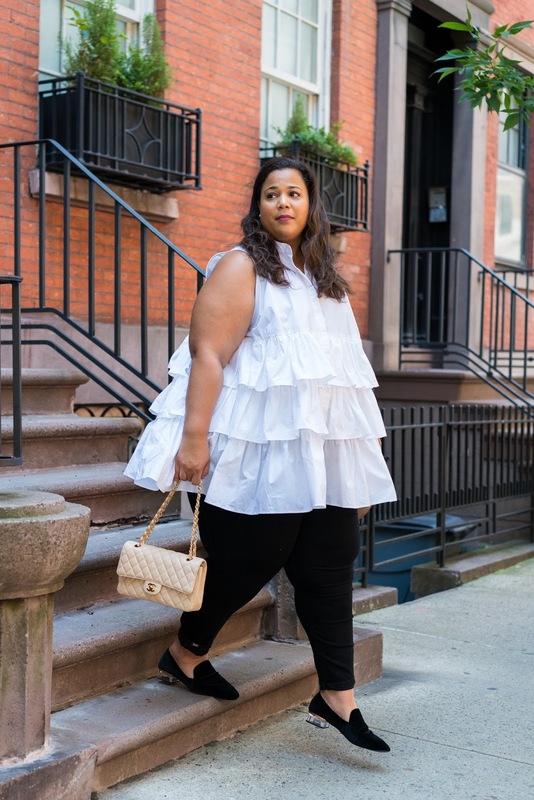 Style Notes: I am wearing a size 14 in the top. I've linked a few items below that I think would work for plus. The jeans are from RWNbyRAWAN. These are probably my favorite denim brand right now. The jeans fit like a glove and they go up to a size 32.